Psychologists have espoused the importance of early development as opposed to later development. Some even as far to say that whatever experiences a child has early in life will determine what he/she will be in the future. It is important to provide children with an environment that would support his/her curiosity, exploration and learning. We often take for granted young children’s need for stimulation and to be able to explore his/her surroundings, but it is through interacting with the environment and the people around them that they begin to realize that they are capable of many things. It is wrong to think that young children should be left alone before going to formal school, or that children will just catch up and learn everything when they get to the first grade. It is important to start early, to train children to look into his/her surroundings and be able to discover what is in it. This will lay the foundation for critical thinking and creativity. As opposed to just having children entertained by gadgets or shows, having a teacher or a care giver who would facilitate their learning is of prime importance. In this highly technological world, starting early is an advantage, when children have mastered their ABCs and numbers even before they go to Kindergarten would ensure that they will be able to adapt and cope with schoolwork easily. They are more confident, enjoy school more and hence reap the benefits of schooling more than those who are not prepared to go to formal school. At the same time, children who have been exposed to other children on a regular basis will be more adept at making friends, interacting with other children and less prone to bullying. Daycare centers like that of Daycare Marlborough provides young children with an environment that would give them the opportunity to learn not just basic literacy and numeracy but also social skills. It is a reality that parents are too preoccupied with their jobs, their careers and business that even if they desire to be there for children and take charge of their learning, it is too much to take on their own. The best option there is, is to enroll their children in daycare. 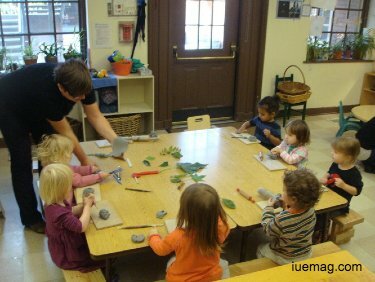 Daycare centers allow parents to pursue their careers but at the same time know that they are providing the best environment for their children to learn. Daycare Marlborough is part of a network of daycare centers that focus on teaching young children life skills that would make them happy learners. Early experiences in childhood have long term consequences, and if children have happy experiences, then this carry over when they get older, while the same is true if the experiences are traumatic. As parents, we want the best for our children and one way of ensuring that they have the best is to enroll them in a daycare that is committed into molding young minds to be happy, confident and enthusiastic learners such as the Daycare Marlborough. There are various perspectives and approaches to the teaching of young children, but the most effective had been to anchor each learning experience to their individual abilities and interests. Daycare centers espouse a semi-structured environment that will provide the right combination of routine and exploration to bring about the best scaffolding for young children’s learning. In an atmosphere of fun, care and nurturing care providers, young children will still be cared for in terms of nourishment, sleep and play but also give them a sense of structure and routine that would help them transition to a formal school. Young children need social interaction whether with children of the same age or with adults, daycare centers provide both. Daycare staff are generally trained to work with young children, but those who choose to work with young children do so because they have that special bond and affinity to be with young children. Daycare Marlborough have a well-trained and loving staff who sees they charges as their own children and would only want the best for them. And since they are skilled at designing learning activities to maximize children’s learning, they are equipped to provide high quality and interactive activities. Without a doubt, young children will enjoy such activities and will not even notice that they are learning, they will probably surprise their parents that they are able to master the alphabet or numbers when they come home from the daycare center. We need to prepare our children to take on bigger challenges in life, and starting them early will surely provide them the head start that they need. Daycare centers not only provide the nurturing that young children need to be emotionally healthy, but also learning experiences that will train them to become better learners in the future. More than all of these, are life skills that include confidence, self-reliance and discipline and positivity that will get them through life and for them to be well adjusted individuals in the future. Raising children nowadays is much more difficult and complicated than before with all the many distractions in life. The influence of technology and gadgets are taking over our children’s consciousness and their interests. Games and shows are very stimulating and young children exposed to such become used to intense visual stimulation that learning concrete concepts like letters, sounds, colors and shapes become boring and unstimulating. 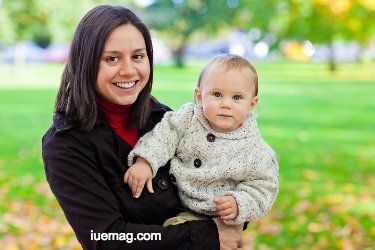 Some parents would see it that young children who learn through watching videos and playing computer games on their own are better equipped for the future, but learning has to follow a certain developmental pattern and one cannot learn more complex information and skills without first mastering the most basic ones. Thus, young children who are of the right age for daycare would benefit most from being in a Daycare Marlborough.